"A genuine chalet in the heart of the french Alps"
Drawing on the rich architectural tradition from Savoie, everything here means simplicity, comfort and authenticity. After a jaunt in the mountains, with friends and/or family, you will appreciate this haven of peace in the mountains , the charm of the stone and the wood, the south facing, the beautiful environment and the unobstructed view. 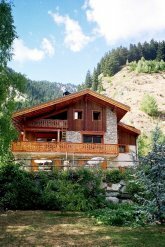 You will feel a homely, rustic mountain atmosphere in this chalet. The change of scenery will add the final touch !!! Don't forget to collect unforgettable memories from your stay in the mountains in Champagny en Vanoise!! !